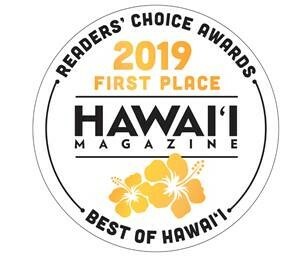 MILAN – Massimo Zanetti Beverage Group announces that Kauai Coffee was voted as the “Best Coffee” in the All Islands category by readers of HAWAIʻI Magazine in the publication’s annual Readers’ Choice Awards. “We appreciate HAWAIʻI Magazine readers for their passionate support of Kauai Coffee,” said Fred Cowell, general manager of Kauai Coffee. “For a business or a brand to appear in the Readers’ Choice Awards is quite a testament,” said Catherine Toth Fox, editor of HAWAI‘I Magazine. According to Cowell, people are tasting the effects of Kauai Coffee’s continued emphasis on sustainable farming practices that create healthier soil, reduce fertilizer and herbicide use, and lessen irrigation needs. Kauai Coffee Company LLC farms America’s largest coffee estate, practicing sustainable farming while harvesting five flavorful varietals from 3.75 million trees across 3,100 acres on the Island of Kauai, Hawaii’s Garden Isle www.KauaiCoffee.com. Kauai has recently obtained the Non GMO certification, an important goal in line with the sustainability and environmental protection strategy that has always characterized the brand.